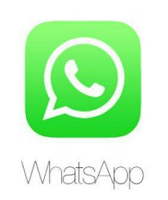 Home » English posts » Smartphone Jam Caused Much WhatsApp Group ??! Smartphone Jam Caused Much WhatsApp Group ??! Today's age of smart phones, everyone dreams of the most advanced smart phones but not least, the most advanced smart phone applications at the moment is the application WhatsApp, you can connect, communicate with your friends with WhatsApp application wherever you are, as long as the area has Internet line. This application has its pros and cons, this article I want to share tips on how to avoid jams caused your smart phone has many WhatsApp group. All the files that you used before will be lost but this does not interfere with the function of other files. Before you go to the reset statistics, let's look at the top left, you will see the use of kb (kilobytes) that you have used amounted to thousands, to use this kb is empty, press the bottom (reset statistics). This way you will not make your phone jam and your phone will be faster in terms of downloading, open the app on your phone, and you are encouraged to practice this way every day. Some of my friends complained, they were out of some WhatsApp group because they have a lot of group WhatsApp on the phone. If you know how, you do not get out of the group. I hope these tips are useful to you and to share this way to your friends for the common good. This article was written only as a guide and the reader's knowledge on the internet. WhatsApp application is the most popular social networking nowadays and what I've heard, this application was purchased by the owner of the world's number one social networking site (Facebook), Mark Zuckerberg.